The financial markets, which had bet largely on a 25-50 basis points hike in the repo rate, reeled under selling pressure with the BSE Sensex plunging 792 points to end at a near six-month low of 34,376.99. The Reserve Bank of India (RBI) surprised the markets Friday by keeping its key policy rate — the repo rate — unchanged after two back-to-back hikes while indicating that it could raise interest rates down the line, a stance which led to a sell-off in stocks even as the rupee weakened further. The rupee plunged to 74.23 against the US dollar for the first time soon after the RBI announcement before closing at 73.76, down by 19 paise. Global markets also witnessed a sell-off as US Treasury yields surged to multi-year highs on robust economic data and comments from the Federal Reserve, sparking fears of accelerating inflation. Unveiling the bi-monthly monetary policy, the central bank warned that volatile and rising oil prices and tightening of global financial conditions pose substantial risks to growth and inflation. The markets were expecting the RBI’s six-member Monetary Policy Committee (MPC) to raise the interest rate but the MPC changed its monetary policy stance to “calibrated tightening” of the interest rate cycle from “neutral,” indicating that rates could go up in the future. 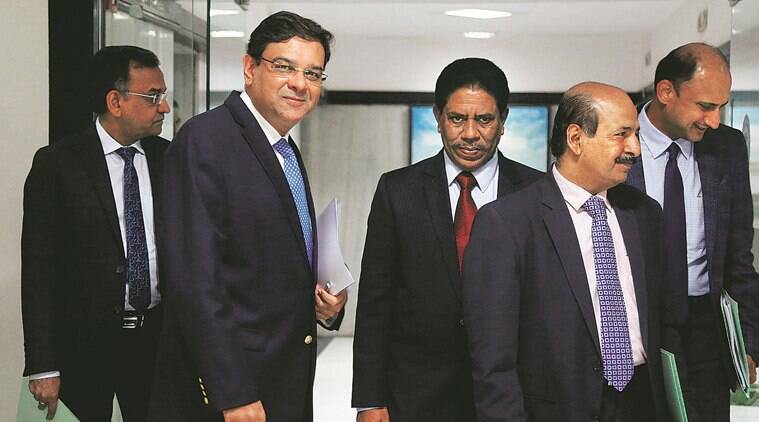 The repo rate — the rate at which the RBI lends to banks the system — will continue to be at 6.50 per cent. The MPC voted 5:1 in favour of the status quo with only one member Chetan Ghate voting for a 25 basis points hike. The RBI had hiked Repo rates twice since April this year – 25 basis points in the June policy and another 25 bps in the August policy. Many banks, including State Bank of India and housing finance companies had hike interest rates in the last two weeks. 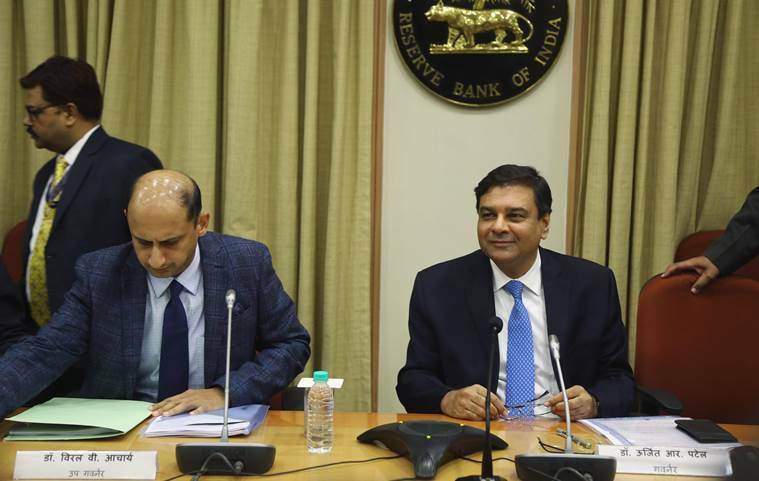 RBI Governor Urjit Patel said headline inflation is expected to rise to 3.7 per cent by September quarter-end, excluding hous rent allowance (HRA) impact, 3.8-4.5 per cent by second half of the fiscal and 4.8 per cent by the first quarter of the next fiscal. The policy panel reiterated its commitment to achieving the medium-term target for headline inflation of 4 per cent on a durable basis, Patel said. However, he warned that if there is a fiscal slippage at the centre and or on the aggregate by states, it will have a bearing on the inflation outlook, besides heightening market volatility and crowding out private sector investment. The panel noted that global headwinds in the form of escalating trade tensions, volatile and rising oil prices, and tightening of global financial conditions pose substantial risks to the growth and inflation outlook. “It is, therefore, imperative to further strengthen domestic macroeconomic fundamentals,” Patel said. Patel listed several risks and uncertainties which are clouding the economic horizon. “First, the government announced in September measures aimed at ensuring remunerative prices to farmers for their produce, although uncertainty continues about their exact impact on food prices. Secondly, oil prices remain vulnerable to further upside pressures, especially if the response of oil-producing nations to supply disruptions from geopolitical tensions is not adequate,’ Patel said. “Thirdly, volatility in global financial markets continues to impart uncertainty to the inflation outlook. Fourthly, a sharp rise in input costs, combined with rising pricing power, poses the risk of higher pass-through to retail prices for both goods and services. Firms covered under the Reserve Bank’s industrial outlook survey report firming of input costs in the second quarter of 2018-19 and third quarter,” he said. Economic Affairs Secretary Subhash Chandra Garg said the GDP growth is expected to be higher than the RBI’s projection of 7.4 per cent for the current fiscal. The Reserve Bank in its fourth bi-monthly policy review retained GDP forecast for 2018-19 at 7.4 per cent based on an overall assessment. In a statement, the finance ministry said the status quo decision by the MPC is in consonance with the government’s assessment of inflation and growth going forward and for achieving the medium-term target for consumer price index (CPI) inflation of 4 per cent within a band of +/- 2 per cent, while supporting growth. “The government welcomes the MPC’s assessment and notes its decision to maintain the policy rate,” the statement said. Arun Singh, Lead Economist, Dun & Bradstreet India, said, “the decision to pause Repo rate was primarily because even though there are upside inflationary pressures, the inflation rate has not surged across all commodities and it remains within the RBI’s broad target range and is expected to remain moderate till November 18 driven by the base effect.” However, given rupee depreciation and expected inflationary pressures, at least one rate hike by the RBI this year cannot be ruled out, he said. The rupee, one of the worst performing currencies, has inched closer to the 75 per dollar level. There was speculation that the RBI would increase the Repo rate to boost foreign investment inflows.